It is well known that the Republic of Indonesia is the world’s largest Muslim country. However, the development of Islamic economy including Islamic finance is still far from its potential. For example, despite Islamic finance in Indonesia has officially existed for more than two decades in the country, the market share of Islamic banking in the country is still standing at around 6pc of the total banking assets. Uniquely, unlike most top Islamic financial centers such as the Kingdom of Bahrain which focus more on the wholesale segment, the Islamic financial market in Indonesia is strongly retail-oriented and segmented in a distinctive way, making it a lot more complex than other countries. The market structure consists of several layers that have loosely defined boundaries with overlaps that are sometimes disputed among the players. Despite the above challenges, Indonesia has some unique strengths. The country has the largest number of Islamic financial institutions (formal and informal), it is the first country and the only one that issues retail Sukuk, it is the first country that has Islamic online trading system (SOTS) in capital market sector, and the first and the only one that implements the concept of Baitul Maal wat Tamwil. In addition, it has more regulations pertaining to Islamic finance than any other countries even though they are scattered and sometimes split between too many regulators. 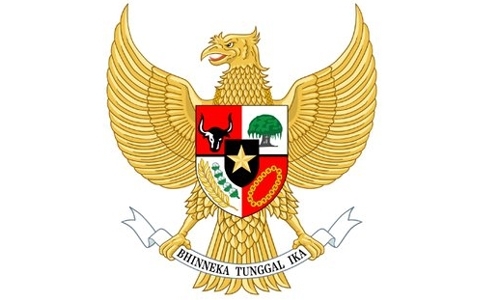 Based on the above challenges and potentials, the government of Indonesia has recently established a National Islamic Finance Committee known in Indonesia as KNKS mandated to lead, coordinate and synergise the efforts of all Islamic economy’s stakeholders. Given the importance role that the committee plays, KNKS is directly chaired by the President of Indonesia His Excellency Joko Widodo. The main functions of KNKS are to fasten, widen, and advance the development of Islamic Economy in the country in order to support national economic development. According to the Presidential Decree No. 91/2016, the roles of KNKS are as follows: (1) To make the policy and strategy recommendations; (2) To coordinate, monitor, and evaluate the planning and the implementation of strategic programs; (3) To promote the research and innovation for product development of Islamic finance; and (4) To look for solutions on various strategic problems in the development of Islamic finance. KNKS has a Masterplan for Indonesian Islamic Financial Architecture and is currently finalising the Masterplan for Indonesian Islamic Economy. KNKS’ vision is to make Indonesia as the world’s prominent centre of Islamic Economy. The main programmes of KNKS are to (1) Establish strong and resilient state owned Islamic banks; (2) Create the country’s first fullfledged Islamic Investment Bank; (3) Establish an Indonesian based world class takaful operator; (4) Convert the national social insurance scheme into Islamic scheme, (5) Establish Islamic marketplace and Islamic digital payment system; (6) Establish International Centre for Islamic Economic Studies; (7) Establish microfinance sharing platform, and (8) Establish a zakat sharing platform, and zakat banking account. The establishment of KNKS is expected to boost Indonesian ranking in the global Islamic indices such as the State of Global Islamic Economy Indicator (GIEI) and the Global Islamic Finance Report (GIFR). The establishment of KNKS also indicates the beginning of top down Islamic economy development approach in the country. It is well known that the development of Islamic economy in the republic was mainly driven by the grassroot movements. KNKS can be used as a reference model for other countries including Kingdom of Bahrain on how government can support the development of Islamic economy in their jurisdictions. It is also expected that KNKS will enhance the bilateral relationship between Kingdom of Bahrain and the Republic of Indonesia especially in the areas of Islamic economy and Halal industry.